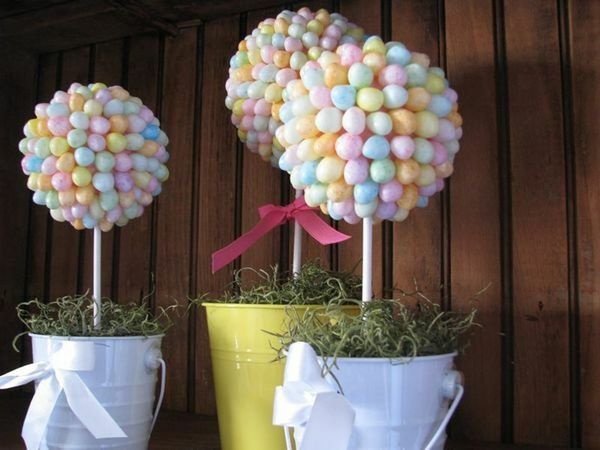 Add some whimsy to your home, classroom or day care with the fun, bubbly Jellybean Topiary. The blooms can be created out of pastel jelly beans to create a topiary that exudes Easter colors. The textured topiary can be “planted” in a metal planter for display and storage.